Being in the "marketing biz" I thought it might be worthwhile to write a news release about Steve and the upcoming Hustle. 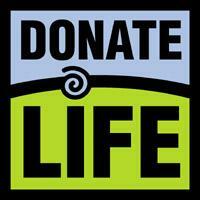 It might catch some attention and give us a chance to spread the word to the masses about organ donation! And what better way than to show Kari's beautiful face! Steve and I are so excited for this journey together and it is my honor to help get his mission "In the News!" Of course my hero Chloe is mentioned too...Go Hustle! Perhaps the most inspiring story ever told about organ donation. A two dimensional look at life overcoming the odds of illness. Chicago, Ill., Feb. 13, 2009 - He was eight when diagnosed with cystic fibrosis and has faced mortality on a number of occasions as each treatment failed and each lung failed, leaving him with just 10% lung capacity. Eventually, he was told he would not survive without a double lung transplant. She was just fourteen when a virus attacked her heart making it slowly deteriorate until continuous IV medication was needed to support her hearts functions. A heart transplant was her only option to live long enough to turn twenty seven. Steve Ferkau and Melissa Simon met because they were given a second chance at life through organ donation and transplantation and in just nine days, they and the 94 members of team “Kari’s Klimber’s” will hike to the top of the John Hancock Center in Chicago’s Hustle up the Hancock. This is Ferkau's seventh year hosting a team that over time has risen upwards of $160,000 for Respiratory Health Association to help others live longer with the same lung issues he suffered. “Kari let her family know how strongly she felt about organ donation and they carried out her wish when they donated her lungs to me. My climb and team name is in honor of the beautiful girl who saved my life,” said Ferkau. Ferkau with Kari’s lungs and Simon with Chloe’s heart will climb 94 floors, maybe bounding up the stairs two steps at a time and at the top, they will smile because they know who got them there. Both Kari and Chloe were tremendous athletes. Founded in 1906, Respiratory Health Association of Metropolitan Chicago (RHAMC) strives to prevent lung disease and promote lung health through research, advocacy, and education. As a nonprofit organization, RHAMC works diligently to provide regional leadership and funding for community-based health outreach programs. More information is available at www.lungchicago.org and www.ClimbingForKari.org.